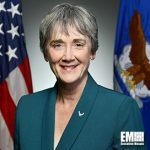 Heather Wilson, secretary of the U.S. Air Force, has said the service branch is developing concepts and technologies designed to counter adversarial threats to U.S. military space assets and operations. In a Fox News opinion piece published Monday, Wilson wrote that the government should continue working with its allies to increase collective self-defense in the space domain. “We must continue to study how our enemies might exploit vulnerabilities and how we will defeat them, just as military planners did before World War II,” said Wilson, a 2018 Wash100 recipient. 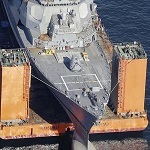 She noted the U.S. military plans to implement measures to accelerate satellite development and launch efforts, as well as create methods to counter potential threats such as satellite jamming and laser attacks. According to Wilson, the Air Force manages 90 percent of the country’s space-based military assets and observes potential threats to national interests.